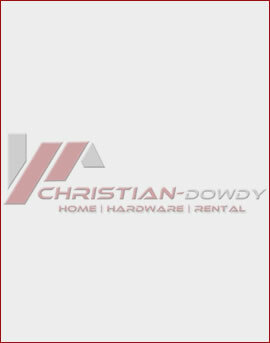 At Christian-Dowdy, we're a team. Combined, we have over 60 years of experience in new home construction, home improvement and equipment. From our humble beginning, we understand the importance of providing consistent customer service. We believe that by combining that with quality building materials, our customers will be back. Together, we'll work each day to provide you with the knowledge and experience we've gained to ensure your job is accurate and complete. Please stop by, have a fresh cup of coffee, bag of popcorn and meet our friendly, experienced sales staff!